Anyone can sell insurance products, ...but our service sets us apart! We know what it takes to be the Leader, for individuals and groups alike. Let us help you get the best care for your eyes with a Humana vision plan. With our expert service and a Delta Dental Plan, we'll leave you with something to smile about. H&H is proud to be endorsed by the State of Arkansas Employee Benefits Division. 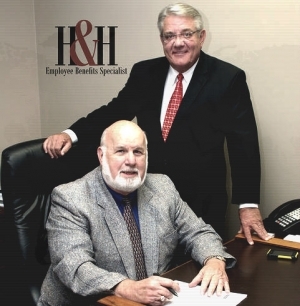 H&H EBS is an employee benefits company. H&H Employee Benefits Specialists is proud to be endorsed by the State of Arkansas Employee Benefits Division to offer voluntary Delta Dental and Humana Vision Insurance Products. Our specialists are available to help Arkansas employees understand and enroll in both the Delta Dental and Humana Vision Plans. Let Us Be your employee benefits experts! Anyone can sell insurance products, but our service sets us apart!